NEW YORK: Starbucks Corp (SBUX.O) Chief Executive Officer Howard Schultz said on Sunday the company planned to hire 10,000 refugees over five years in 75 countries, two days after US President Donald Trump’s executive order banning refugees from certain countries. On Friday, Trump put a four-month hold on allowing refugees into the United States and temporarily barred travellers from Syria and six other Muslim-majority countries, saying the moves would help protect Americans from terrorist attacks. The order sparked widespread international criticism, outrage from civil rights activists and legal challenges. 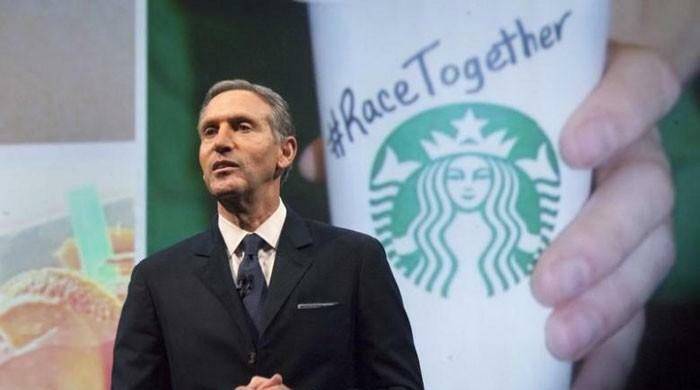 Starbucks in a letter from Schultz told employees it would do everything possible to support affected workers. The hiring efforts announced on Sunday would start in the US by initially focusing on individuals who have served with US troops as interpreters and support personnel in the various countries where the military has asked for such support, Schultz said. Schultz has been outspoken on various issues and has put Starbucks in the national spotlight, asking customers not to bring guns into stores and urging conversations on race relations. Schultz said on Sunday that if the Affordable Care Act is repealed and employees lose health care coverage, they would be able to return to health insurance through Starbucks. Schultz will step down as CEO in a few months to focus on new high-end coffee shops, handing the top job to Chief Operating Officer Kevin Johnson, a long-time technology executive. He will become executive chairperson in April. Schultz also affirmed the company’s commitment to trade with Mexico, another subject that has been front and centre of Trump’s campaign.